AC/DC is finally embracing the digital age by releasing their music on iTunes. Starting today, AC/DC’S entire catalog is now available digitally for the first time, exclusively on iTunes worldwide. From their 1976 debut ‘High Voltage’ to seminal classic ‘Back In Black’ and 2008’s smash hit ‘Black Ice’, every one of AC/DC’s 16 studio albums, along with four live albums and three compilation albums, are available for the first time ever on the iTunes store. All tracks have been mastered for iTunes, and fans have the ability to download full albums or simply purchase their favorite individual songs. AC/DC was one of the few acts that would not release music through the digital outlet, reports The Associated Press. Two years ago, Apple struck a deal with The Beatles’ record label, EMI Group, and management company and began selling the group’s music. Kid Rock, who had also been against selling his music through the digital retailer, is releasing a new album, ‘Rebel Soul’, on Monday and it’s available on iTunes. Silvio Pietroluongo, Billboard’s director of charts, said AC/DC’s decision isn’t shocking. 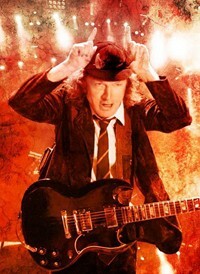 The group’s first live album in 20 years, ‘Live At River Plate’, recorded in Buenos Aires in December 2009 when nearly 200,000 fans (over 3 sold-out nights) thunderously welcomed AC/DC back after a 13-year absence from Argentina, was released today.